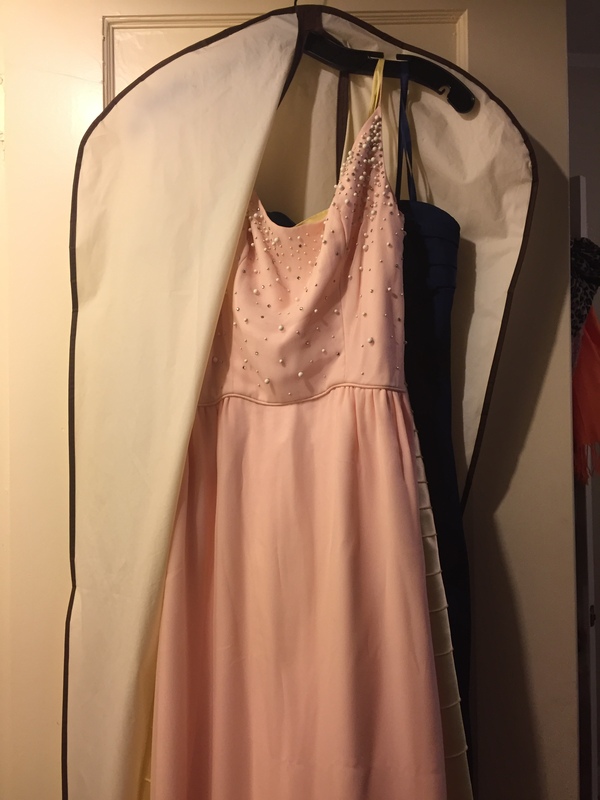 It’s quite fun, once you get over how ridiculous trying to shut a closet door full of gowns is. 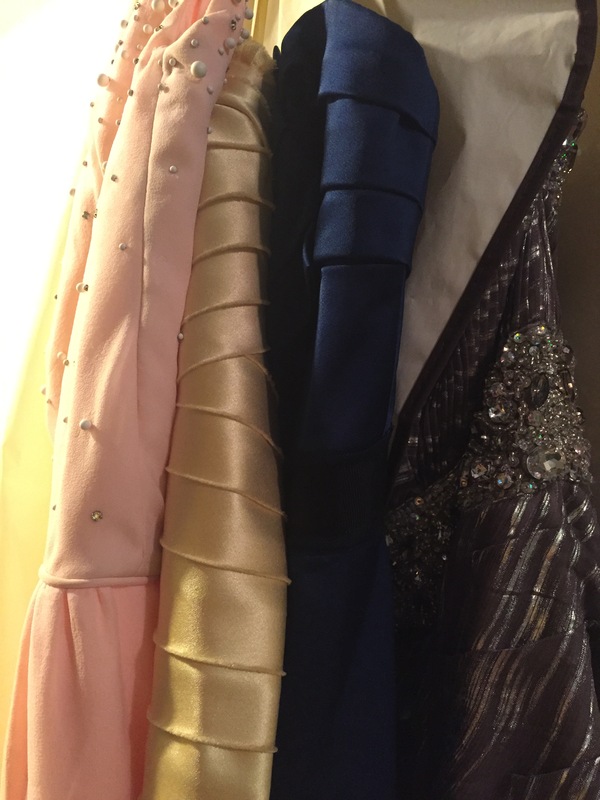 With another fancy occasion looming, I thought there would be no time like the present to dust a few of them off, and make some decisions as to what to wear next! This is my latest acquisition. 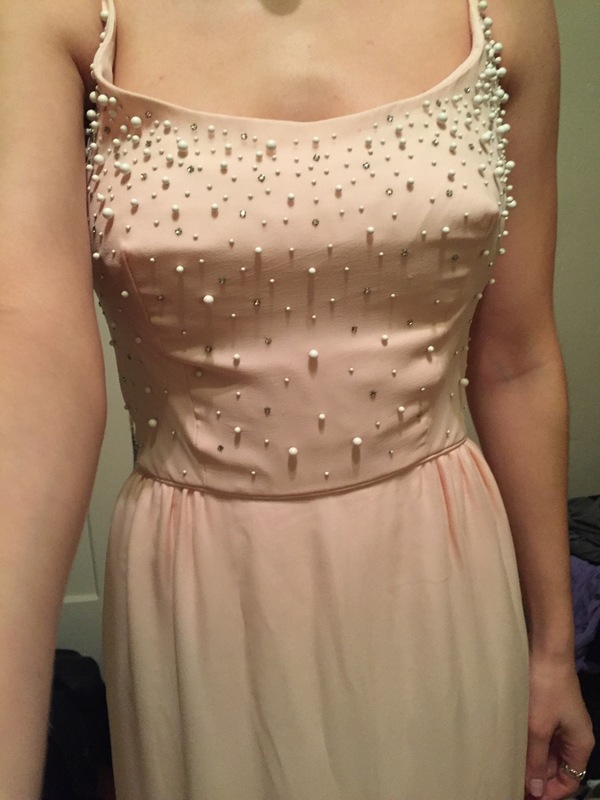 Vintage, 1960s silk with pearl beading. 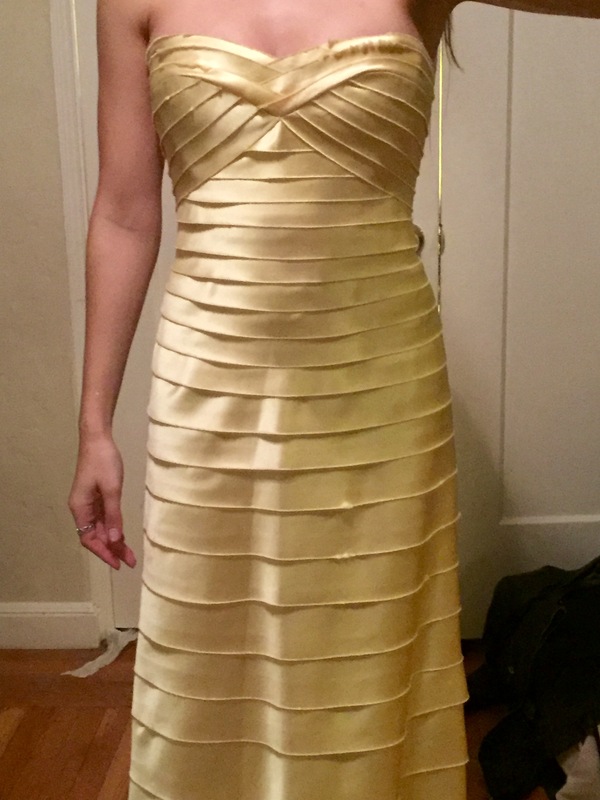 I like to call this my “Belle” dress, BCBG laser-cut satin. Another BCBG, mini-train not pictured. 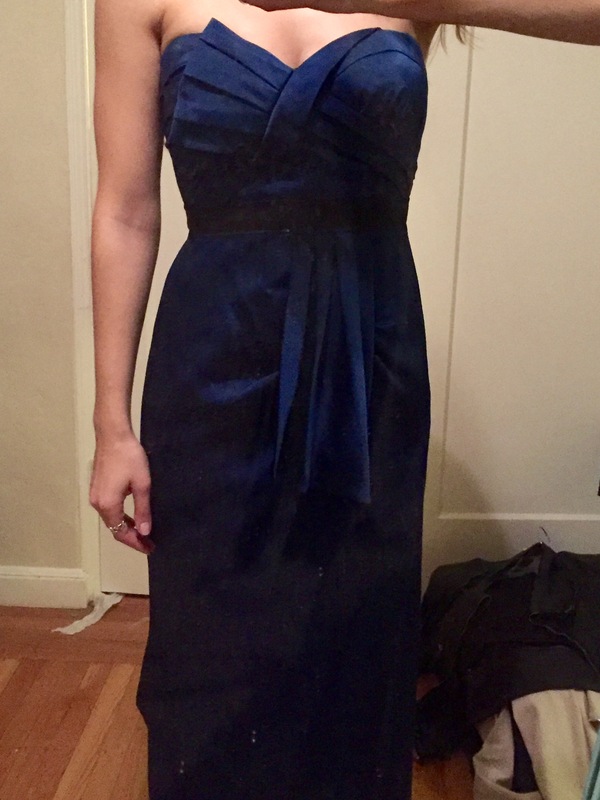 I had a great purchasing this blue dress at the BCBG boutique in downtown San Francisco years ago. The style had just come in and I was the first to try it on and “model” it for the staff. The salesgirls were so sweet and helpful, I had a hard time deciding on a dress to take home, because I ended up finding so many that I liked. A number of dresses have been left out of the picture, for the moment. 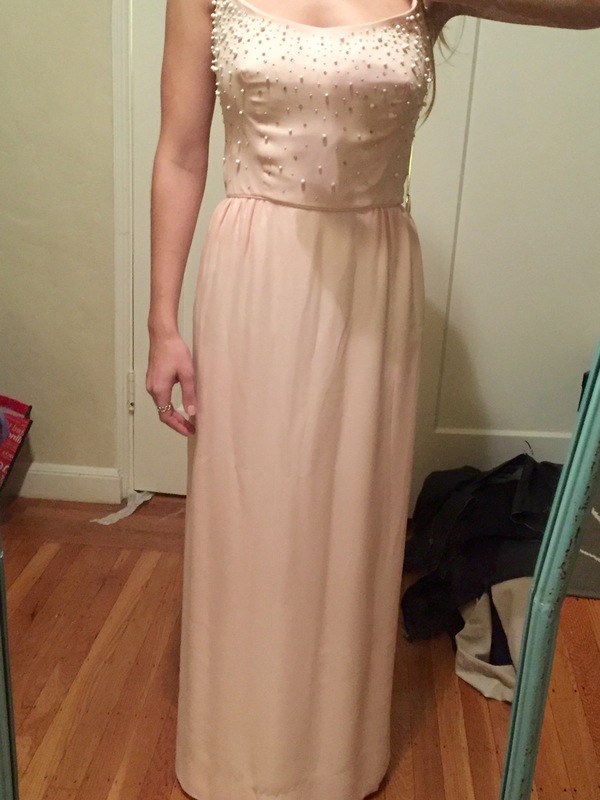 I have a vintage, red Oleg Cassinni strapless gown, a heavily beaded magenta sari, two tea-length lace dresses trimmed with ostrich feathers, a rhinestone-encrusted silver gown in need of some alterations, and a slightly sheer black mermaid skirt that can be dressed up or down, depending on the occasion. One would think that I would be set for life with my dress collection, but I somehow manage to run out of options when new occasions pop up. I’ve most definitely worn a few of them for multiple occasions, so I like to think I’ve gotten my “money’s worth” out of them thus far. 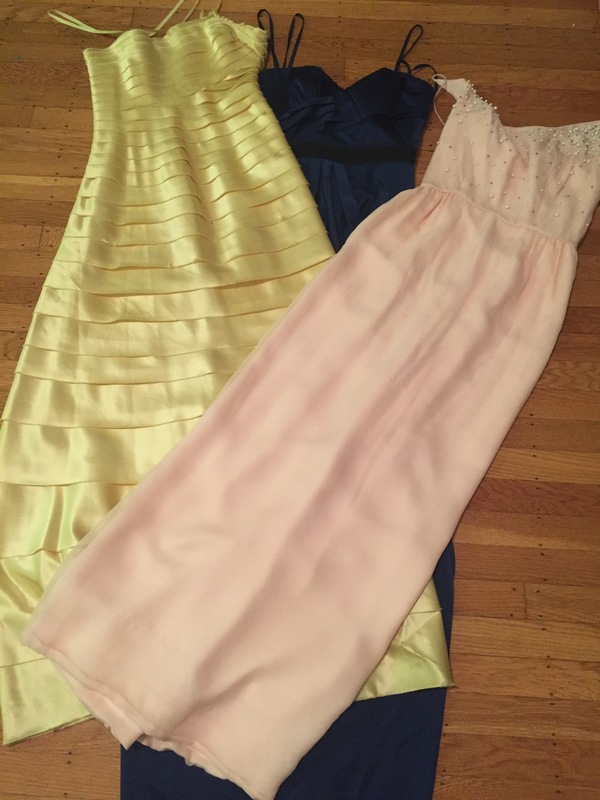 Each dress also holds certain memories from the night’s I’ve worn them- most notably the yellow gown pictured above, which I ended up wearing on an impromptu visit to the top of the Empire State Building in New York at 1am. 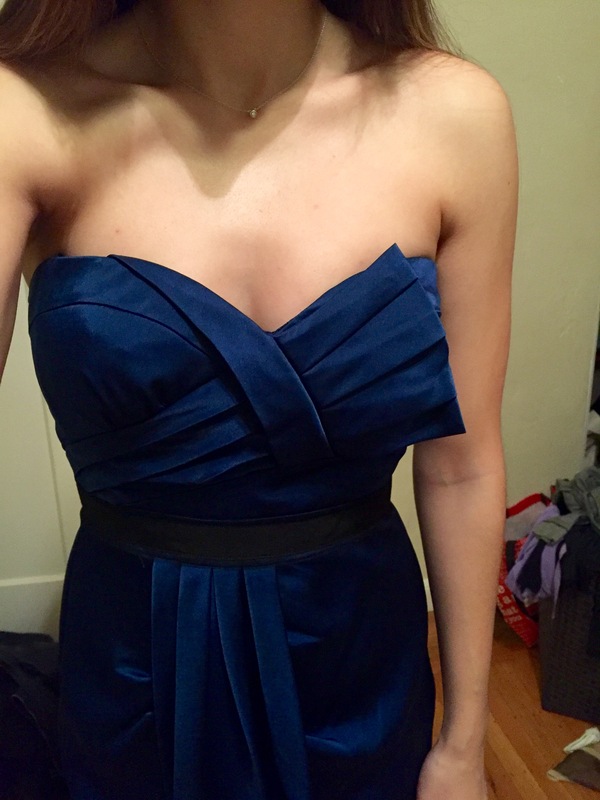 I’m hoping I’ll be able to add to my collection of stories as I add to my dress collection. I apologize for the ridiculously cheesy headline, but it was the first/best thing I could think of at the time. Who doesn’t like a 90’s Britney Spears reference worked into their day? Yes, I purchased yet another pair of shoes. If you have any complaints, please call 1-800-SORRYNOTSORRY. Thank you. Of course, when I got home I slapped them right on and commenced taking photos. 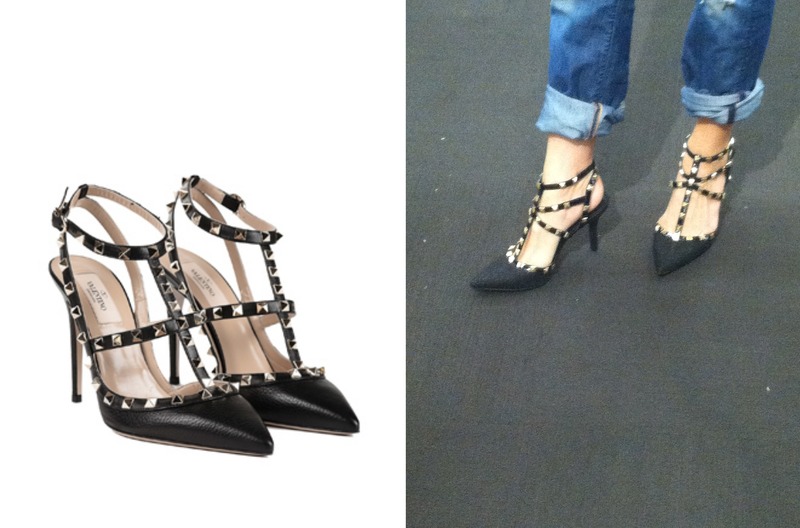 Valentino photo c/o Avenue K. Photo on right brought to you by yours truly, in embarrassingly rolled-up jeans. 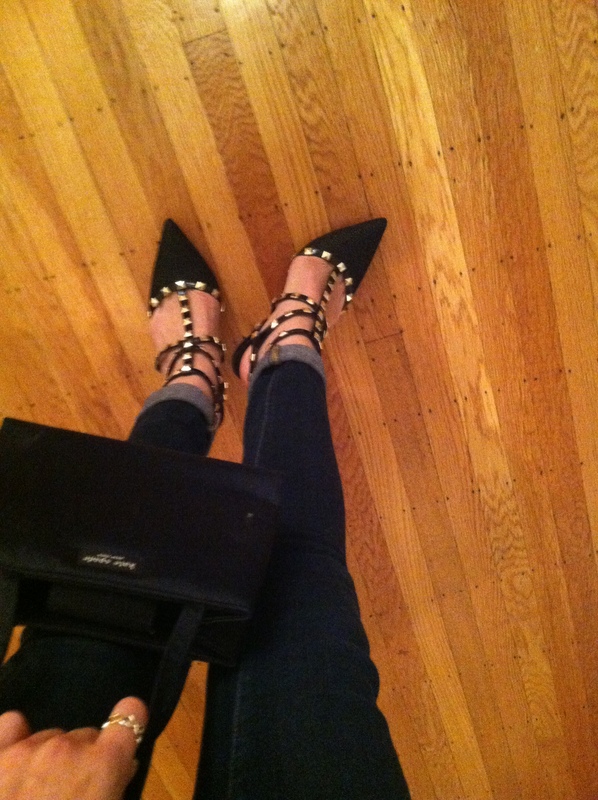 If you, like me, love perusing the internet for fashion inspiration, you’ve probably seen these Valentino Rockstuds absolutely everywhere. I certainly have, both in real life and online. I’ve passed them countless times going in and out of the local Nordstroms, pausing each time to look at the variety of styles and colors. They’re quite the statement shoe. Unfortunately, the statement comes with a hefty price tag. As much as I would like to strut around San Francisco in a pair of these babies, I would have to relocate for three months in order to pay for them. So, what’s a girl to do? Well, as luck would have it, I was poking around the DSW website in search of new (unnecessary) boots and I discovered these shoes from BCBG. Hello! I had to have them. Not only were they the deal of the century, they turned out to be ridiculously comfortable despite their intense appearance. I was apprehensive of the style at first, since most pointed-toe pumps make me feel like I’m wearing elf shoes, but these were really quite flattering on. I’ve been brainstorming ways to style these, and I can’t wait to pair them up with jeans and a crisp white shirt, or even to toughen up my favorite fit-n-flare dresses. If you need any more style inspiration, you can find some here, here, and here. 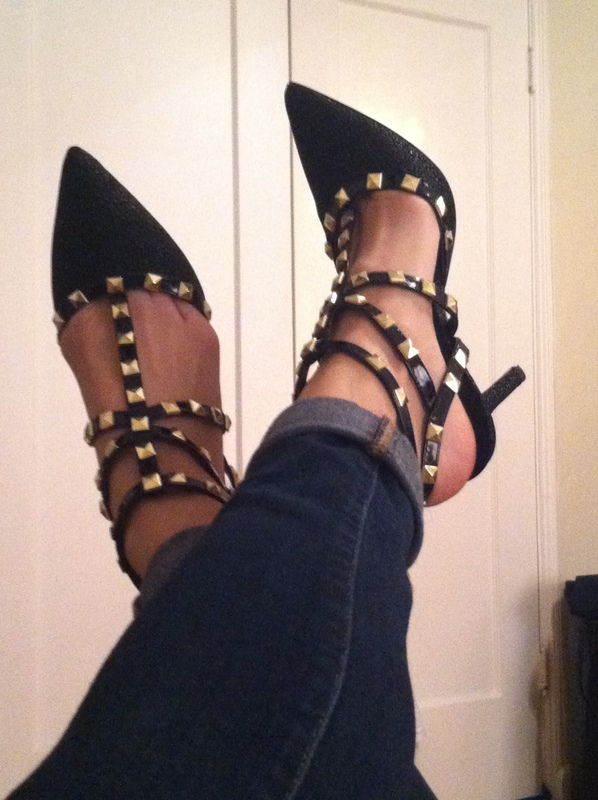 There’s just something wonderful about shoes that many people don’t understand. Wasn’t it Marilyn Monroe who said “give a girl the right shoes, and she can conquer the world?”No matter how you feel, or what you decided to wear that day, a good pair of shoes can make all the difference. As silly as it sounds, they’re one thing you can depend on. Plus, they’re often pretty fabulous.